The Subaru Forester is back for the 2018 model year! 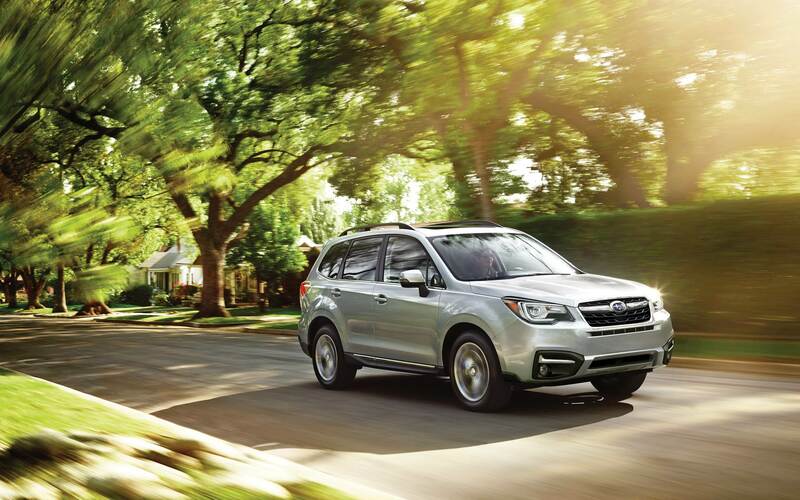 The Forester is a spectacular member of the compact-crossover SUV segment. It has a lot of interesting perks that buyers might desire. For example, the Subaru Forester is the only compact-crossover to offer standard all-wheel drive, making it incredibly appealing for those living in areas with harsh winter months. 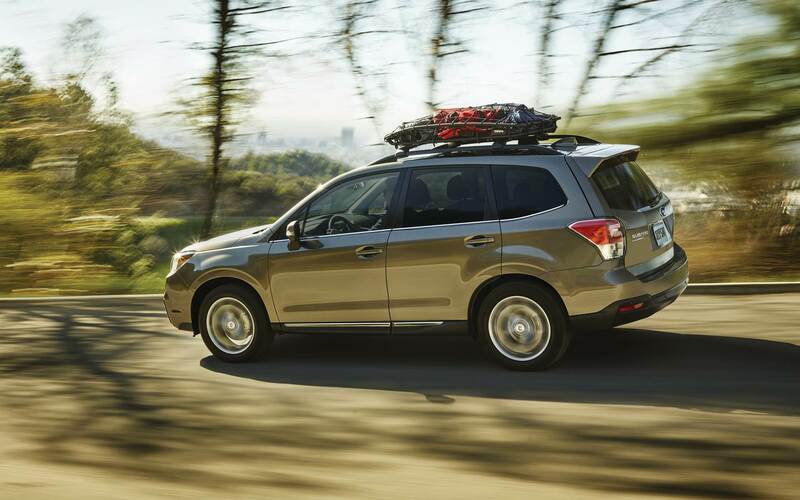 In addition to that, the Forester is capable of traveling off pavement-a trait many adventurous buyers will love. It's also one of the only remaining compact-crossovers to offer a manual transmission. The Forester can also be equipped with many of the best safety features available today, has an available turbocharged engine, and has astonishing resale value. The 2018 Subaru Forester has added a new 2.5i Forester Black Edition Package to its lineup, made Active Torque Vectoring standard on 2.0XT Touring trim levels, now has EyeSight Driver Assist Technology standard on Touring models, and has added High Beam Assist and Reverse Auto Braking to the EyeSight safety suite. The 2018 Subaru Forester is available with two engine options that are sure to please. Subaru has adopted Boxer engines, which lay flat and create a lower center of gravity to enhance vehicle stability. Most Foresters have a 2.5-liter Boxer four-cylinder engine beneath their hood. This engine cranks out 170 horsepower and 174 pound-feet of torque and has a fuel economy rating of up to 32 miles per gallon on the highway. This engine can be paired with a six-speed manual transmission or a Lineartronic continuously variable transmission. Alternatively, there's a 2.0-liter turbocharged Boxer four-cylinder engine. This engine generates 250 horsepower and 258 pound-feet of torque and we completely recommend it for the driving enthusiast. For light-duty towing, the Forester can handle 1,500 pounds. The exterior of the Subaru Forester was revised for the 2017 model year, so the 2018 model is still sleek and modern. The Forester features Subaru's unique C-shaped LED motif headlights and signature hexagonal grille. The headlights of the Forester are available with a steering-responsive feature that turns the headlights alongside the steering wheel to illuminate the curves you're approaching. The Forester also offers 8.7 inches of ground clearance so it can easily navigate snow and other terrains. The Black Edition Package, new for the 2018 year, features 18-inch black alloy wheels, black finish exterior mirrors and badges, foglights with black accent trim, a blacked-out wing motif and chrome frame on the front grille, silver accent stitching, additional chrome finish on the interior, all the features of the All-Weather Package and Welcome Lighting, and more. This package is available in four exterior colors: Ice Silver Metallic, Crystal Black Silica, Dark Gray Metallic, and Crystal White Pearl. What trim levels is the 2018 Subaru Forester offered in? There are four core trim levels for the 2018 Subaru Forester: standard, Premium, Limited, and Touring. How much does the Black Edition Package cost? The Black Edition Package costs $1,150 and is available on the 2.5i Premium trim level. Can I apply for financing online? Yes, you can! Fill out our easy application here! 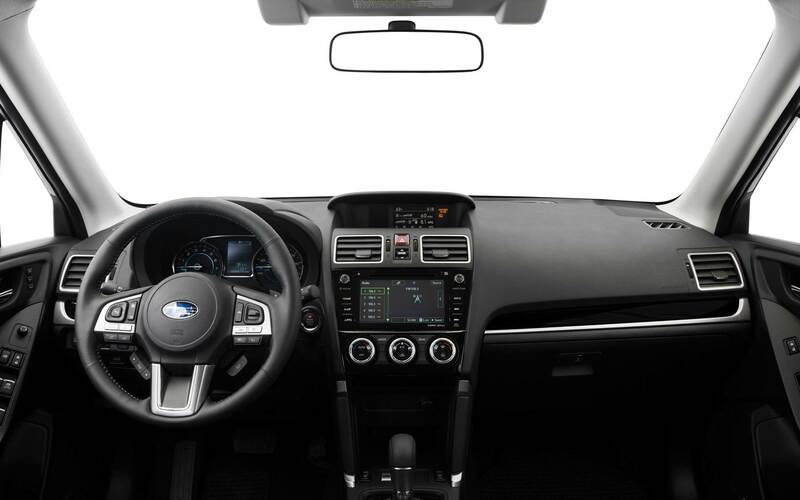 Subaru takes pride in the safety of their vehicles and the available EyeSight suite shows that by offering a variety of high-tech safety features. These features include LED Steering Responsive Headlights, High Beam Assist, Automatic Low and High Beam Height Adjustment, Reverse Auto Braking, and more. The 2018 Subaru Forester is an incredible vehicle for buyers who seek adventure and refinement. We at Reedman-Toll Subaru would love to help you find the Forester of your dreams-contact us below or visit our dealership to take this new Subaru for a test drive!